Whenever the topic of investment is brought up, the most common comment of investors alike is how they hate taking risk or how they’re confused about what asset to invest in. Although there are many who are interested in investment, they don’t find enough time to manage their investments. Irrespective of the reasons for not participating in investing, it will stop soon. 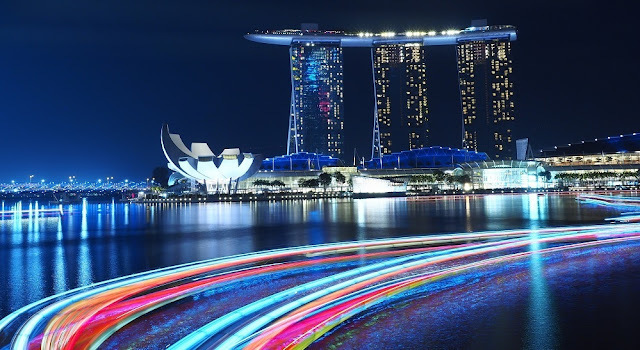 If you’re someone who resides in Singapore or you’re simply interested in investing in the different assets of Singapore, you will definitely need help. Here in this article we will provide you with a list of things options that Singaporean investors may find worth considering. Check them out. This asset is perfect for the investors who are not comfortable with taking risk but they are eager to earn even a small return if that’s possible. In case you’re a new investor who is scared of the risk associated with investing, then SSB or Singapore Savings Bonds is the best option for you. You can dip your feet without getting wet. These bonds are backed by the government of Singapore and hence they’re risk-free. With early redemption of bonds, there isn’t any penalty and hence you can take the money off by giving a simple 1 month notice. Just as there are job offers, visa services in Singapore, their investment industry is even too strong. Hence, you have to be careful about choosing your investment assets. These are suitable for those investors who wish to get higher returns by taking minimum risk. Previously, the corporate bonds were only assets which were meant for seasoned investors. But now time has changed and regular investors can even invest in such corporate bonds issued by reliable corporate companies. A bond is money that you lend to the company in lieu of interest and majority of the investors would find it safe to lend only to the trustworthy companies. When you buy bonds of a company, you actually buy the debt that is being issued by the companies instead of the ownership within the companies. These are also suitable for those investors who wish to get back pretty high returns without having to take any such risk. They are even comfortable with accessing the money till retirement. There are many who would wish to plan for their retirement in Singapore without the likelihood of taking too much risk. But beside the 2.44% per year that you may be able to earn from SSB, is there anything else that you could make without incurring any risk? Topping up their CPF Special Account would be the best instrument for majority of the Singaporeans. You earn a rate of 4% without risk and this is the best way in which you can build your retirement funds. You just have to learn the dos and don’ts of investment so that you’re able to make a wise and informed decision while playing with your hard-earned money.